Home Nutrition Do You Know the Other Omegas? No, I’m not talking about another sorority or fraternity, I’m talking about omegas other than omega-3s. 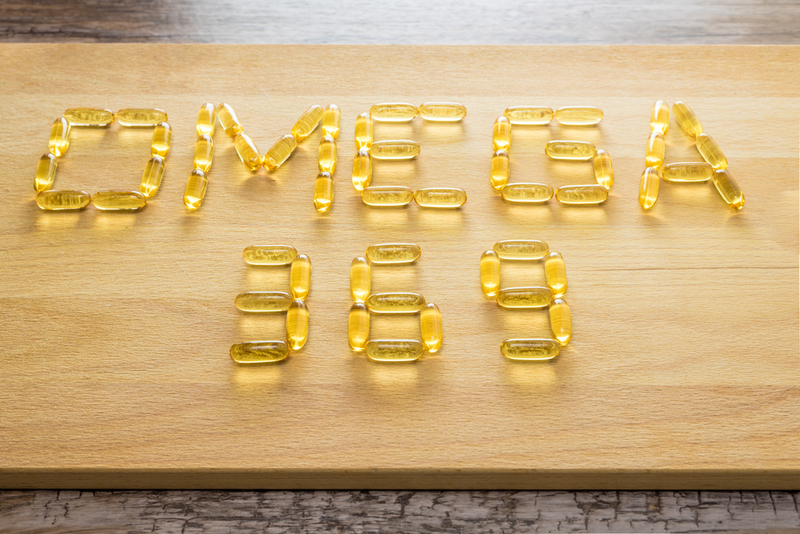 The hype is all around omega-3s, but all omegas are good for your body. Your body needs these other fatty acids, along with the omega-3s that are commonly found in fish. They provide some serious health benefits, just like their more popular sibling. A fatty acid is a carboxylic acid. These are important dietary sources and is an important structural component for cells. This article will help you to understand why you should be thinking about the other omegas. As said above, these are the most talked about fatty acids. You can find omega-3s in sardines, mackerel, salmon, flax seeds, chia seeds, hemp seeds, walnuts, and canola oil. 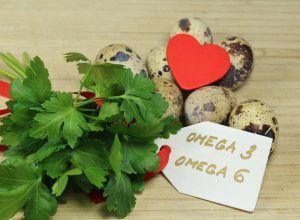 Omega-3s help to improve cardiovascular health, but that’s not the only thing they can do. Omega-3s can also fight arthritis and joint pain, boost your mood, improve your brain function, and lower triglycerides (a type of fat) in your blood. They are also anti-inflammatory so they can help you recover from workouts. You should be eating about 1.6 grams of omega-3 rich foods daily. There are three types of omega-3 fatty acids. There are a-linolenic acids, (ALA), which are found in plant oils. There are eicosapentaenoic acids, (EPA), which are found in marine oils, like those found in fish. There are also docosahexaenoic acids, (DHA), which are also found marine oils, like those found in salmon, sardines, mackerel, and other fatty fishes. You can find omega-6s in vegetable oils, so they often show up in processed foods. They can will be in nuts, seeds, dairy, and meats. Although they are more commonly found in processed foods, because processed foods are made with vegetable oils like soybean oil, they are good for your heart health. Some examples of these foods include: pumpkin seeds, hemp seed oil, flaxseed oil and meal, sunflower seeds, pistachios, borage oil, evening primrose oil, pine nuts, black currant seed oil, acai, grapeseed oil, and much more. Omega-6s are a healthy fat, but it is still believed your omega-3 intake should be higher than your omega-6 intake. If you are eating more omega-6s than omega-3s, it can lead to inflammation in your body. Omega-6s are good for you, but don’t make them the only omega you are eating. Just make sure that you are upping your omega-3 intake, if you up your omega-6 intake. Although you do not hear about them much, omega-7s are a good monounsaturated fat. Studies have shown they are also good for your heart health. One omega-7, palmitoleic acid, is especially good for anti-inflammatory purposes. It can also help combat against LDL cholesterol. It can also increase the levels of HDL cholesterol in your body. This is a beneficial type of cholesterol. Your body can make its own omega-7s, unlike omega-3s or omega-6s. If you want to work them into your diet, they can be found in salmon, anchovies, olive oil, and macadamia nuts along with omega-3s and omega-6s. Omega-7 is a commonly overlooked fatty acid that is beneficial to your health. It is a nonessential fatty acid, meaning that your body already makes it. You do not need to take omega-7 supplements or seek out omega-7 rich foods to add to your diet. The only time that you should do this is if it recommended by your doctor. Your body already makes enough omega-7s, so be conscious of what they are, but you do not need to actively seek them out. Our bodies also make omega-9s naturally. They are found in many oils that are contributed with other healthy nutrients. You can find them in canola oil and olive oil particularly. Basically, if you are choosing healthy fats, you will be getting enough omega-9s for your body to function properly. Omega-9s can help fight inflammation, improve your heart health, and protect against cancer. Some studies have shown omega-9s have memory boosting effects. If you are eating foods that are rich in omega-3s, you will probably be getting enough omega-9s as well. Omega-9s are another fatty acid commonly overlooked. This is because it is a nonessential fatty acid. If you want to start taking omega-9 supplements or seek out omega-9 rich foods, make sure to talk to your doctor first. Since your body already makes these fatty acids, you probably do not need to add an excessive amount into your diet, like you would with omega-3s. If your doctor recommends you begin seeking out these omegas, do it. If not, your body already makes all that you need. Fatty acids, like those shown above, are put into two categories. These categories are, essential fatty acids and nonessential fatty acids. Your body cannot make essential fatty acids like, omega-3s and omega-6s. Your body can make nonessential fatty acids like, omega-7s and omega-9s. Nonessential fatty acids are not important to put into your diet, but they are important for many functions of the body. 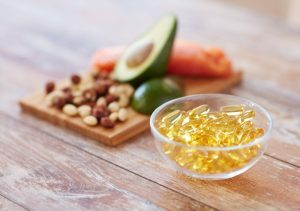 Unless it is recommended by a healthcare professional, you do not need to actively seek out these fatty acids, your body is already making enough for you. It does not hurt to have the regular amounts that are found in other omega rich foods. Talk to your doctor before you begin taking any new supplements or add omega rich foods into your diet. If you are already getting enough of these fatty acids, it may not be beneficial for you to begin eating an omega rich diet. Fatty acids are good for your body and you should actively seek out omega-3s and omega-6s. It is good to be aware of the other omega fatty acids that your body needs to function properly. 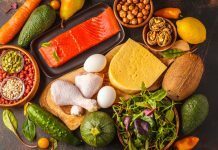 Your body thrives off of omega fatty acids, but make sure that you talk to your health care professional before you begin any new type of diet. 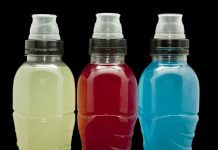 Previous articleAre You Addicted To Exercise?